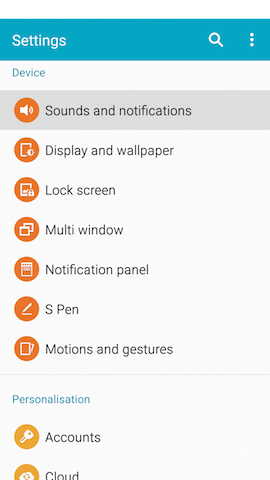 Android™ 5.0, Lollipop: How do I change the application notifications on my Samsung Galaxy Note® 4? Mark certain applications as high priority to receive notifications even with Interruptions turned on. 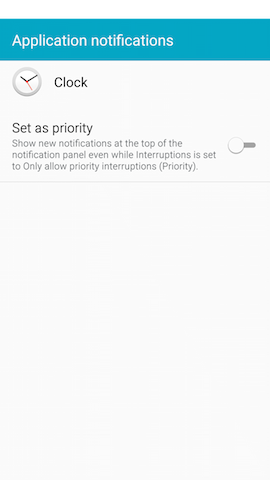 Priority notifications will display at the top of the Notification Panel. 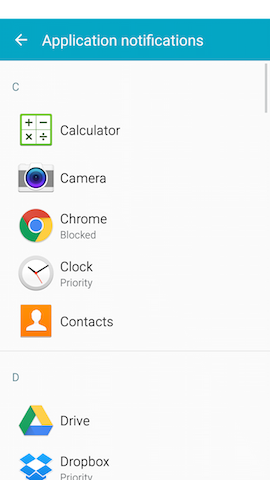 You can also block certain applications from sending notifications to your device. Note: It may be necessary to switch the Settings menu to list view by touching Menu > View as > List view. 3. Scroll to and touch Sounds and notifications under Device. 4. Scroll to and touch Application notifications. 5. Touch the application for which you want to adjust notification priority. 6. Touch the Set as priority slider to turn the priority setting on . 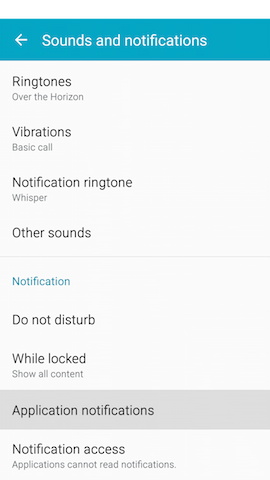 Notifications from this application will display at the top of the Notification Panel when your Interruptions settings allow priority notifications. 7. Touch Back to manage the notification settings for more applications. Applications with the priority setting turned on are identified by the words Priority under the application name. 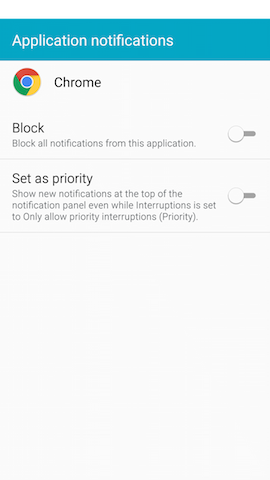 Some applications allow you to block any notifications from being sent to your device. For example, if you block Gmail™ notifications, new email will not display on your lock screen, status bar, or Notification Panel, and there will be no sound or vibration notifications. 5. Touch the application from which you do not want to receive notifications. 6. Touch the Block slider to turn notification blocking on . The block setting will override the priority setting if both are turned on. All notifications, including sounds and vibrations, will be turned off for this application. 7. Touch Back to manage the notification settings for more applications. Applications with blocking turned on are identified by the word Blocked under the application name.